As the proud owner of a brand-new business, you've probably got a number of concerns. These may include (but are likely not limited to): How can I put myself out there? What resources are at my disposal? What is the value of these resources? And, perhaps most importantly, How do I connect with clients in a way that sets me apart from my competition? The beauty of the business world is that every company is different, and it is this diversity of products and perspectives which allows consumers to find a service that accommodates their demands. But if you're a home improvement contractor, a consumer's decision will often come down to customer service. Namely, many potential clients will ask themselves, "Which company is most dedicated to meeting my needs? ", as well as, "Which company will offer the best overall experience for me as a homeowner?" One of the best ways to enhance client satisfaction is by using a customer relationship management (CRM) program. CRM software comes in many flavors, but most brands provide users with tools and systems for keeping track of client information, automating communications, and sending or gathering documents electronically. The benefits of these features are immeasurable for new business owners. By investing in CRM software, you can start to make a name for yourself as a leading professional in the industry, one who is focused not only on doing good work, but also on keeping customers happy and in-the-loop. 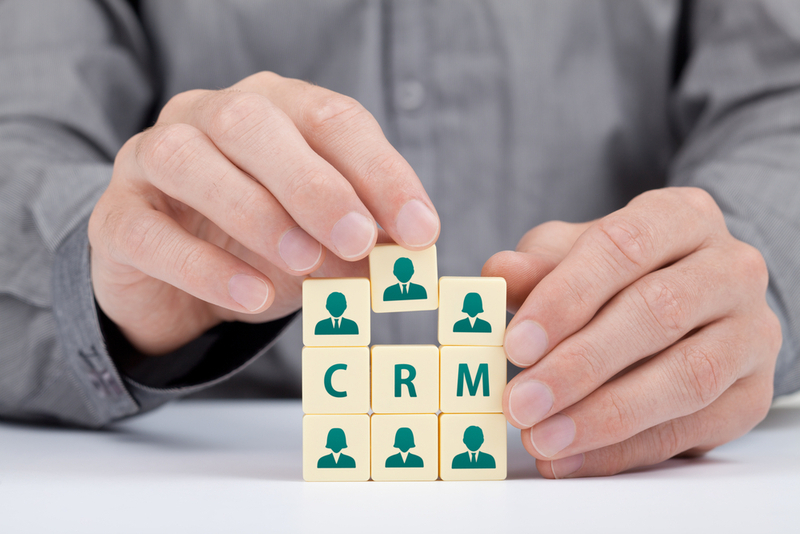 Here are just some of the things you can do with modern CRM software. Create a centralized client database. CRM allows users to ditch older, paper-based methods in favor of an electronic management system. You can enter names and essential contact information within seconds, and never again will you have to worry about losing a phone number or searching through countless files to find an address. With CRM, all of this information is readily available at your fingertips. Overwhelmed by the seemingly constant need to personally confirm appointments, collect feedback, and send marketing emails? When you're just getting off the ground, these are the last things you want to be worrying about. Let CRM software do some of the work for you, and make time to focus on the more pressing items on your to-do list. Most CRM software is equipped with the capacity to automate lesser administrative duties. Using automated confirmation features will make you look like a customer service all-star, and drip email campaigns will help you get the word out about your services. You'll be able to stay on top of client communications and marketing, catering to both current and potential customers, with relatively little effort. Switch over to electronic contracts and proposals. Nobody likes paperwork. It's tiring to manage and time-consuming to fill out, and finding a convenient meeting time to go over it can be maddeningly difficult. Luckily, CRM offers a solution for that, too. Most modern programs give you the option of designing electronic contracts and proposals, which can then be sent to clients via email for signatures. Using this feature saves you and your customers valuable time, and electronic paperwork looks more clean-cut than traditional paper versions. This gives your business an air of professionalism. Better yet, managing documents electronically ensures that you won't accidentally misplace them (and create even more annoying paperwork). These are only a few of the most common CRM features. Clearly, if your business is just starting out, a good CRM system is an indispensable asset. Using CRM software -- and knowing how to take full advantage of it -- is the perfect way to put your company leaps and bounds ahead of competing professionals in your area. Take some time to research different CRM programs and find one that works for you and your business. You'll soon discover that an investment in CRM software is an investment well made. Learn more about what CorkCRM can do for your contracting business.